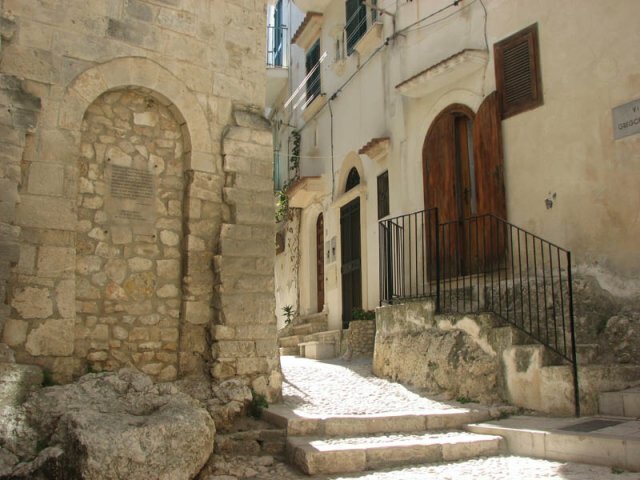 The town of Vieste to spread over a hill at the height of which stands the historic center and in particular the Castello Svevo. 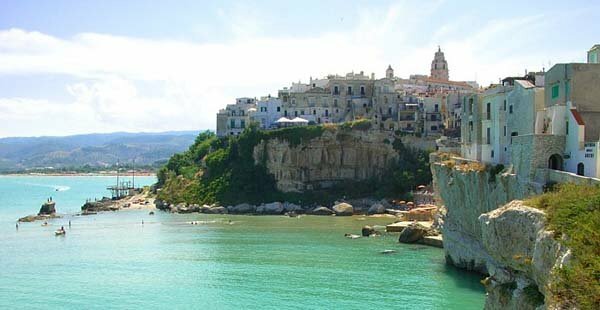 Vieste, like all peasini of medieval origin, is initially around the old village and then expands on coastal north and south of the country. 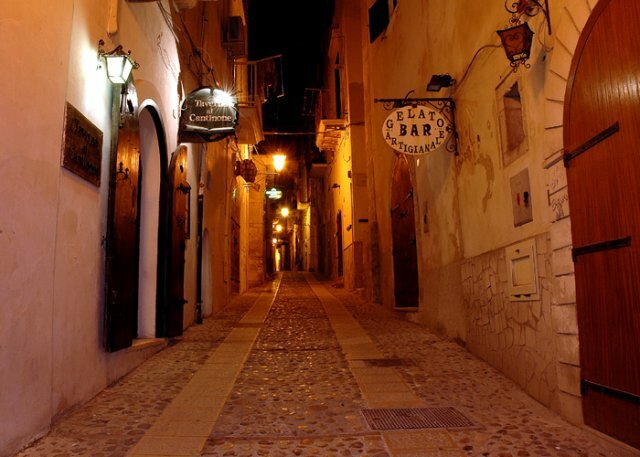 The historic center of Vieste is presented as a set of twisted streets uphill and downhill overlooked by low houses antique flavor. In the historic center is important to visit the Cathedral Basilica, the Ripa, the spur of St. Francis, the Chianca Amara, the square Petrone and the Castello Svevo. The Ripa is a lovely little beach that is located at the foot of the historic center. A long beach of Vieste, today is a beautiful little bay where you can see all the Lungomare Enrico Mattei and the town overlooking the sea. To reach this beach, you must antrare in the medieval town of Vieste and follow the appropriate instructions. 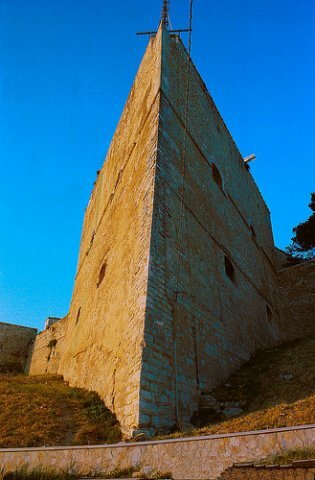 Also in the old town of Vieste, you can pause and reflect on chianca Amara, which is a rocky platform that in ancient times saw the death of many viestani hands of Dragut Rais, ruthless commander in the service of Muhammad, who in 1554 after a seven-day siege , killed many viestani after having sacked and burned the whole town. 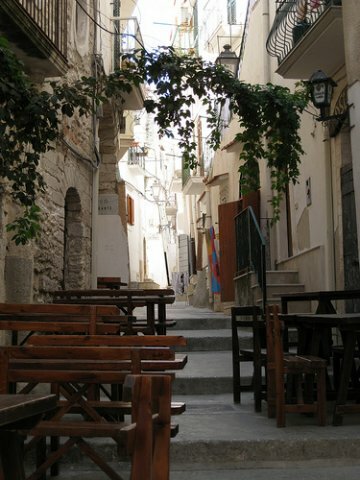 The old town is also characterized by periods of observation enchanting, just reach the square Petrone for realizing it. This square, located in the heart of the historic center, a few years ago welcomed the summer events in the country, as the Vieste Film Festival, with the screening of films and the participation of important directors and actors. Today the square is used as princialmente vantage point because from here you can see in all its beauty, the sea of Vieste, the grandeur of the castle and the beach Pizzomunno (Lungomare E. Mattei). 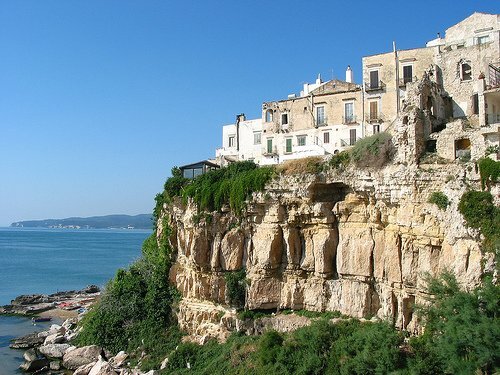 Absolutely the highest part of Vieste is occupied by the Castello Svevo. In the past, this castle, for the strategic point where once stood, guaranteed the observation of the sea from all points of the compass, so time to see any enemy incursions. The structure of the castle resembles a ship, in fact, watching him from the bottom you can see the side walls very sharp and as each vessel has the gunner and side slits observation. Inside the castle, once inhabited, you may notice a front garden with an adjacent amphitheater of modest size and a drawbridge medieval flavor that leads to the garden and in the rooms. Internally there is confronted with a private garden, a well and outputs emegenza for the population. In fact, in times past, these outputs needed to inhabited castle to escape from this if an enemy raid it had been necessary, these outputs bumpy, downhill and dug into the rock, led directly to the beach of Pizzomunno. Today the Castello Svevo is no longer inhabited, but inside the seat of the military air force base that deals with weather reporting. In summer it is possbile to visit the Castle in the evening hours at nominal price, accompanied by a guide.